I am so grateful for all the blessings we have in our lives! Our family has been loved and supported in the most amazing way over the past few months since the craziness started with Alex’s placement and talks of moving him. I am so grateful for all of your prayers and good thoughts! The update is that in just about every aspect Alex is doing better. The high intensity aggression has come down, medications have been adjusted to the point where we think we’ve got the right amounts to help just where he needs it, and he is overall a happier, healthier kid. Alex’s direct staff seem pleased in general. But on Friday, one of the administrators called me to “touch base” about my trip to New Hampshire to see a possible placement (a trip I’m leaving for now). 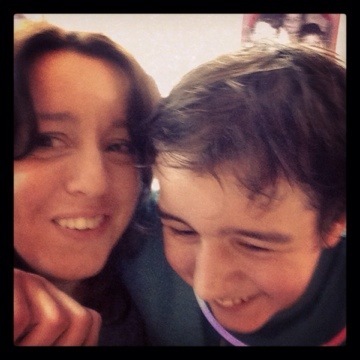 He said plans are still moving forward to make Alex leave his current placement– the only place that has made serious progress towards helping him get home to us. When I asked why that was still the case given all the positive progress we’ve seen (which has eliminated doubts of their being able to treat him) I was told they’ve got a “quit while you’re ahead” type policy (my words, not his). So I need your prayers again. Please pray that all of the people involved with my beautiful boy will see clearly the importance of keeping him near his family, and will advocate in every way possible to make that happen. Pray that I will know the right questions to ask in NH to get the information I need to advocate for Alex. And please pray that God will open the hearts and minds of any naysayers so that they can clearly see there is a win-win-win solution out there and we can find it. This is not about a mother’s sadness at the prospect of missing her son. It is about the deep knowledge I have of what makes Alex tick and what will truly help him. I refuse to allow him to be punished by taking away the one thing that is most meaningful and rewarding to him– family contact. Thank you for being here to listen. 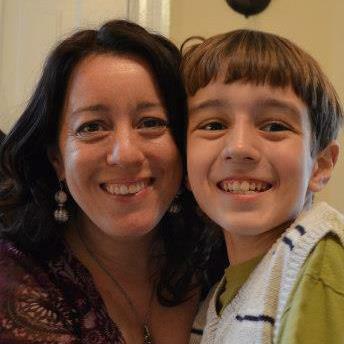 I know this song was not written about autism or me and my son. But when I listen to it, it touches my mama heart in a unique way. 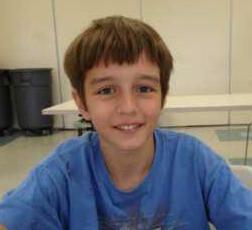 I hear the words and I envision a home where Alex can live happy, healthy and safe with the people who love him most. I remember how our family worked hard to make the world okay for Alex, to enable him to enjoy everyday experiences, to show him new things. 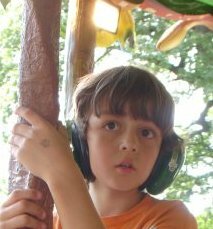 I think of the anxieties and sensory issues that are so challenging for Alex and so many kids on the autism spectrum. Thank you, Phil Phillips, for writing a song that inspires this mother to think once again about creating a real, functional home for my son. For inspiring me to believe it’s possible for Alex to come home to us, and for helping me to see the detailed pictures of that transition in my head. I am grateful for your poetry and your beautiful music. As we roll down this unfamiliar road. Settle down, it’ll all be clear. They fill you with fear. The trouble it might drag you down. to join the celebration & get your free stuff! Ohmigosh have I got news for you! 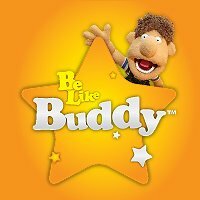 Created by the father of a child with autism, the “Be Like Buddy” educational videos and resources are right on target. 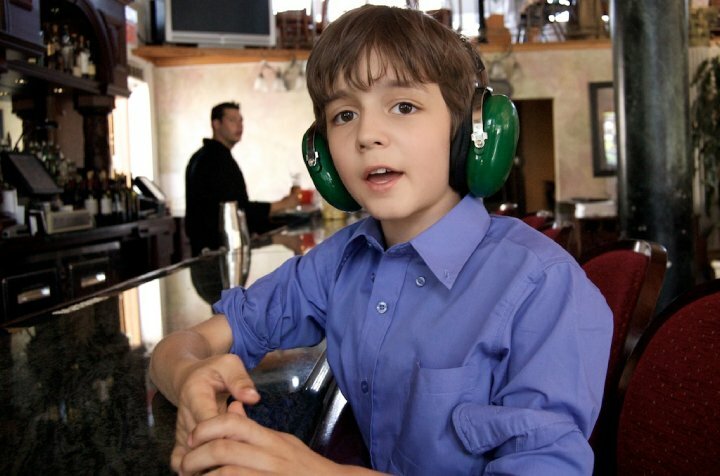 As in– the guy who put the videos together knows autism. The website creators know autism. The folks who made the educational materials know autism. The entire team– plus the absolutely adorable and loveable puppet named Buddy who stars in the videos– really understand and connect with families like mine– and YOURS too! Stay tuned to Autism Home Rescue for more info next week on how YOU can get absolutely free resources for autism parents, educators & professionals this month at the online launch party for “Be Like Buddy”. In the meantime, please go to the “Be Like Buddy” facebook page and Like them to make sure you stay in the loop! I just wanna be the mom. Alex’s head rests on my shoulder in the waiting room, my arm across the back of his chair. He lets me kiss his hair. He doesn’t feel good. I know, his father knows. We need someone to explain why. Another puzzle. His belly, his behavior. Specialists. A second appointment. “You do know your child best.” Consult, consult, re-evaluate, adjust. The weight of Alex’s body against mine grounds me because I know he is seeking comfort and he finds it in that unspoken connection. It is communication and I know what it means, I understand and don’t second guess. 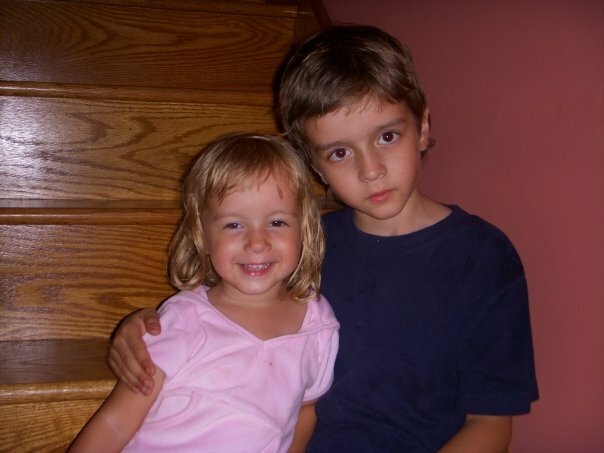 I just wanna be the mom, the one to stroke his hair and bring him soup. To talk softly or read books. To let him rest on my lap. But so much of the time that’s not how it seems to go. Parents lead teams, fight for justice, find answers, forge new paths…. don’t we? I am just the mom. Maybe I’m supposed to feel as if I’m on a horse charging through the forest, riding on to victory! Wind in my hair, a confident counterpart to a powerful animal leaping obstacles. Adrenaline rush and excitement at conquering the challenge! 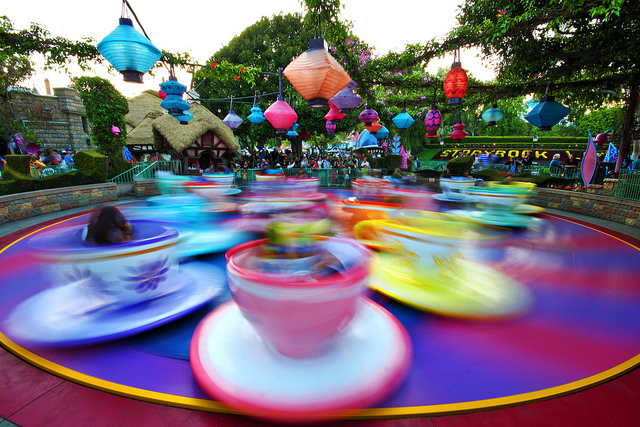 But no, my reality feels more like the Teacup Ride at the amusement park. Tinny carnival music slightly off key, clanking of safety locks & bars, the whir of start up after a half-hearted warning about risks & keep-your-hands-and-feet-inside-the-car by a lazy, monotone, uninterested attendant. Then the exhilarating feeling of leaning to the right to be abruptly yanked to the left into an endless circle. Sliding along the seat, bumping into your cup-mates, grabbing the wheel in the middle to stay stable– and wondering who else might turn it at full force to make your stomach flip flop as you fly around again at nauseating speed. If you resist the momentum or try to focus on real life beyond the ride, you feel sick. If you yield to the movement, you find a fleeting thrill– maybe even a joyous freedom. Then it ends too soon and you’re back to the hot, crowded line to wait for another try. It’s the resistance that causes pain. And whether you ride without resistance or not, you’re likely to make yourself sick anyway. I hold my breath and attempt a calm smile, an even tone, picturing a ballroom dancer in a flowing dress being led by her partner around the dance floor, poised gracefully to be turned and dipped and spun at will. Giving the illusion of control and strength, able to dance without falling, to step without causing pain, to perform a role. All the while, my mind seeks answers, spinning like a tea cup, trying to focus, feeling confused and frustrated, wondering why this all can seem so hard. I just wanna be the mom. I was born to be the mom. Not the spinning performer, the equestrian archer, the triumphant solver-of-problems! When it all comes to a complete stop, when my day ends and the safety locks slide apart, I find my footing and move again to the sidelines. I feel tired. My head rests on Aubrey’s shoulder and I sink just a bit, as her arms wrap around me, holding me still to stop the spinning inside. There is relief in that unspoken connection. It is communication and I know what it means, I understand and don’t second guess. I still just wanna be the mom. Hope. Plain and simple. Sometimes I don’t realize that I’ve lost touch with hope. I have all these quotes taped to my computer (“All is well, out of this experience only good will come” and “Optimism is the faith that leads to achievement” and “Leap and the net will appear” etc.) and sometimes I think I do have optimism and faith and I am trusting and leaping freely. But then I realize somewhere along the line hope has actually slipped to the back of my mind, that I’m not as free as I had thought, there’s something heavy in the background sitting on a small but growing patch of anxieties. When hope appears again, the relief I feel is like a cool breeze from the ocean on a hot beach day– I don’t realize how I had missed it or how sheerly *good* it feels until it comes again and reminds me. This week I saw the movie “Wretches & Jabberers“ for the first time. It brought that feeling of hope back to me. Not because of the story or the specifics, but because as I watched this film another window opened in my mind. My proverbial “house” where God closes doors and opens windows became bigger and through the new open window created by these filmmakers came a gentle ocean breeze which awakened hope again in me. Rainbows & nail polish. I painted my toenails last night, each toe a different color like a rainbow, because Aubrey & I will be attending the Pride festivities in San Francisco. Why something so mundane on a gratitude list? Because I like pretty toes, because I can afford five different bottles of colors (cheap colors, but colors nonetheless! ), because I like sandal weather. And most importantly, because I live and work in a place where I can be open about who I am and I can show it on my toes. 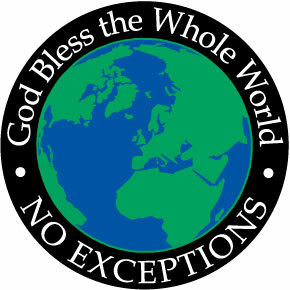 How grateful I am for openness and acceptance!